Now that the Summer is officially upon us here in the UK, the warmer weather will soon enough arrive (fingers crossed!) Many people will also be beginning to jet off at this time of year in search of hotter climates for a well deserved break. As much as we enjoy sunning it up we understand that the warmer weather can annoyingly decrease the wear time of our makeup. 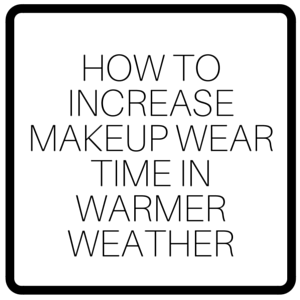 We know many other people have this problem so below we have put together our top tips for increasing makeup wear time in warmer weather. Prepping the skin is an essential part of increasing the longevity of makeup. To prep the skin simply cleanse the area getting rid of any remaining products. By doing this you also ensure that the face is nice and clean. 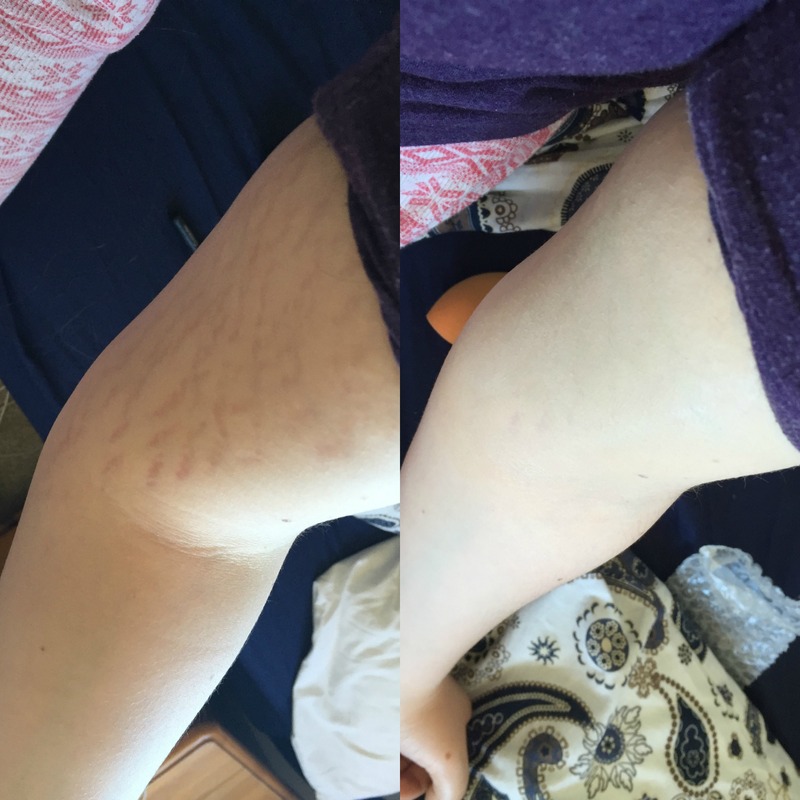 Another thing that really helps is to tone the skin. Toning the skin removes any remaining excess oil, temporarily closes the pores and if you opt for the Veil Toning Lotion, it also gives the skin a lovely refreshed feeling. Many people who use the Toning Lotion even pop their bottles in the fridge for an extra cooling effect, this is ideal if the weather is very hot. Whenever the skin is exposed to the sun you should always think about using a sun cream or SPF product. Sun cream helps to protect the skin from burning and sun damage. 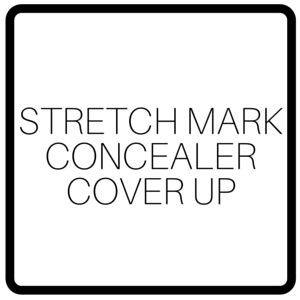 If you’re using high coverage concealer Veil Cover Cream then you’ll probably already know that the product contains a medium factor SPF however, to be extra safe many people wish to use an additional SPF product. If you’re using both a sun cream and Veil Cover Cream we suggest applying your sun cream after you’ve prepped the skin but before you apply your makeup. Once you’ve applied the sun cream to the face we recommend allowing it to fully sink into the skin so that it does not disturb the lasting power of your makeup. When it comes to hot weather, it can cause the skin to look shiny. To eliminate this, simply dust over a light layer of finely milled Veil Finishing Powder. Not only will this give a natural matte finish to the makeup, it will also increase the wear time of your makeup by ensuring that there is minimal movement from your concealer or foundation. Applying powder also helps to give Veil Cover Cream a waterproof finish so if you’re using our full coverage concealer and you fancy a dip in the pool, your cover up should stay nicely in place, provided that you pat yourself dry when getting out, rather than rubbing yourself dry. All Veil Cover Cream products are made by our team of highly skilled manufacturing staff in County Durham. Products are made by hand to ensure the best possible quality control and to ensure that Veil Cover Cream sticks to the original recipe and formula that was created by our talented founder Mr Thomas Blake who was a forward thinking and inspired cosmetic chemist. All ingredients that we use to make our products are sourced from within the UK and are to of a very high standard. Unlike many concealers on the market Veil Cover Cream does not have a limited shade range that only caters for a select amount of skin tones. 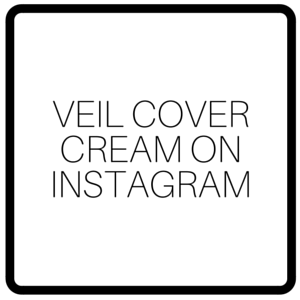 Instead Veil Cover Cream has a large range of colours with over 40 shades in the range. Our shades have warm, cool and neutral tones and vary from very pale skin suitable colours to shades that perfectly match gorgeous dark Caribbean skin tones and everything in between. In our range we also have a White shade for lightening colours as well as our colour correcting shades which are designed to counteract unwanted tones in the skin. All shades can also be mixed together to allow the wearer of Veil Cover Cream to truly be able to customise their shade if needed. Unsure of what colour you need? Try one of our concealer sample kits. Veil Cover Cream has very high pigmentation. This means that our full coverage concealer is able to cover skin conditions that normal high street concealer cannot conceal. If you’ve got Vitiligo, Rosacea, unwanted Tattoos, Birthmarks, Xanthelasma, Melasma, Age Spots, Thread Veins, Radiographer’s Markings, Hyperpigmentation, Hypopigmentation, Stretch Marks, Eczema or Broken Capillaries, Veil Cover Cream can cover up and conceal these often hard to disguise conditions. Veil Cover Cream can also help to cover up redness, dark circles, Acne and spots with ease thanks to its very creamy full coverage formula. Don’t believe us? 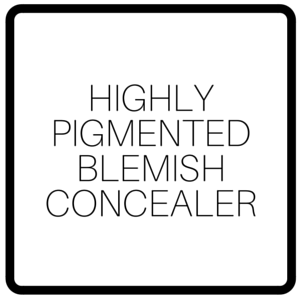 Try the high coverage concealer for yourself. Mongolian Spots are birthmarks that appear during birth or soon after. These birthmarks are often a blue-grey colour which often leads to them being mistaken for bruises. These birthmark spots can vary in size from person to person but they commonly appear on the back or the buttocks however, they can also appear on the limbs. Mongolian Spots rarely appear on the scalp or face but there have been cases when this has occurred. In terms of the cause, Mongolian Spots are said to develop in the womb. These birthmarks appear when cells in the skin become trapped deep in the skin which is why the blue-grey colour appears. Experts currently don’t know why this happens but they have ruled out that it is caused by anything the mother has or hasn’t carried out during pregnancy. Basically the mother of the child could not have prevented the birthmarks from appearing. In terms of how common the spots are, they very rarely appear in Caucasian skin of children who are of a European background but are very common in children of Middle Eastern, African, Mediterranean and Asian backgrounds. Because of this experts think they could be inherited but aren’t too sure how this occurs. Mongolian Spots appear in both boys and girls and usually disappear when a child reaches the age of four but in some cases they do not fade. In terms of treatment Mongolian Spots are harmless and do not require any treatment as often they disappear on their own. 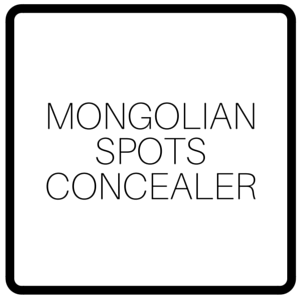 For Mongolian Spots that do not disappear there is the option of using skin camouflage makeup products to cover and conceal the birthmark lesions when the person with the spots is self conscious or has low mood due to the appearance of the birthmarks. Skin camouflage makeup products contain much more pigmentation in comparison to regular makeup products meaning that they have the ability to cover skin conditions that normal makeup simply cannot conceal. Veil Cover Cream is a really great Mongolian Spots Concealer that provides the skin with great colour pay off without looking unnatural. Cafe Au Lait Spots are flat birthmarks that are often light brown in colour. Cafe Au Lait Spots can vary in size. Some people have large lesions whereas others have quite small lesions. In terms of the cause of the birthmarks, Cafe Au Lait spots tend to appear during birth but they can also develop during infancy. Quite a few children have one or two Cafe Au Lait spots that are caused when pigment producing cells collect together, these lesions are harmless. Other children have quite a few Cafe Au Lait Spots. If there are a number of spots this could be due to a condition called Neurofibromatosis which is a genetic condition that causes benign tumours to grow along the nerves. For more information on this condition we recommend that you consult you GP who will be able to offer you advice and support. Cafe Au Lait Spots tend to be permanent and may even grow as time goes on. In terms of treatment, Cafe Au Lait Spots can be removed with laser treatment. However, laser treatment can sometimes lead to scarring of the skin and many people who have had the treatment have reported their Cafe Au Lait Spots returning over time so the success of this type of treatment is questionable. If you are unhappy with the appearance of you Cafe Au Lait Spots and wish to conceal or hide them for a special occasion or on a regular basis Veil Cover Cream can help. Veil Cover Cream is a camouflage cream which means that it is a concealer like product that can conceal skin conditions that are often hard to cover using regular makeup. Because of its highly pigmented formula, its impressive shade range and its creamy easy to blend texture Veil Cover Cream is a perfect Cafe Au Lait Spots Concealer. Acne is a very common skin condition that affects lots of people. The condition causes red inflamed spots that are often very sore. The condition can also cause oily skin. Acne usually affects the face but it can also affect the back and the chest. The skin condition is caused when the hair follicles in the skin become blocked. This occurs because the sebaceous gland (a gland that secretes oil to keep the skin and hair lubricated) simply produces too much sebum (the medical name for the oily substance that is produced) Because of the excess oil production the oil then mixes with dead skin cells and blocks the hair follicles. When this happens you get white heads and black heads and when bacteria contaminates the follicles it causes infection creating painful pus filled spots. Acne commonly appears in teenagers due to an increase in the hormone testosterone. The sebaceous gland is sensitive to testosterone and therefore produces more sebum than the skin needs when there is an increase of the hormone. Acne can also run in families. It can flair up during periods and pregnancy. It can sometimes be caused by comedogenic products (products that block the pores and hair follicles) and certain medications are also said to trigger the condition. Despite what many say Acne is not caused by having a poor diet nor is it caused by having dirty skin or poor hygiene. It also is not contagious. When it comes to diagnosing Acne your GP can do so simply by looking at the area. In terms of treatment there unfortunately is no cure for the skin condition but there are things you can do to keep Acne under control. Firstly, avoid squeezing black heads, white heads and pus filled spots. This can cause further infection and could lead to scarring. Secondly, keep the skin clean by washing it twice a day however, do not over wash. Over washing the face can actually cause the sebaceous gland to produce even more excess oil thus making the condition worse. Thirdly, speak to your GP about creams, lotions and medications that could help improve your Acne. Acne is not a life threatening condition but it can cause low mood in those who have the condition. 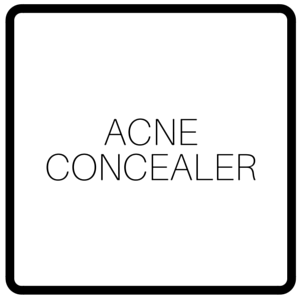 The appearance of spots and blemishes can cause many to feel self conscious which is why many Acne suffers choose to conceal the redness using makeup products. Often because the skin is inflamed and red, normal concealers simply do not have the pigmentation and colour pay off to be able to cover up Acne. However, Veil Cover Cream is a product that has helped many Acne sufferers to gain confidence. Veil Cover Cream is a great Acne Concealer as it has a high coverage formula that can blend easily into the skin. The full coverage makeup product can cover up redness to give the skin a natural looking finish. Solar Lentigo is a skin condition where yellow, brown or black coloured flat lesions appear on the skin. These lesions have a similar appearance to freckles but are often much larger in size. Experts suggest that Solar Lentigo is related to sun exposure. Because of this often areas of the body that are exposed to the sunlight are affected such as the hands, arms and face. Solar Lentigo can occur at any age and in any gender or race however, those who are 30-50 years of age often experience the condition purely because their bodies have been exposured to sunlight over time. Those who have also been exposed to excess sun exposure are also prone to the condition. The reason why Solar Lentigo patches occur is because the ultraviolet radiation causes the cells that produce the skin pigment to rapidly increase. This means that the cells then produce the yellow, brown and black patches in the skin. Thankfully Solar Lentigo is harmless however, if you have any patches on the skin that you aren’t sure about, always consult your GP for advice and for peace of mind. You should also ensure that your skin is always protected when out and about in the sun. For further protection avoid going out in between the hours of 11am and 3pm, always be sure to wear suitable clothing and stay in the shade. 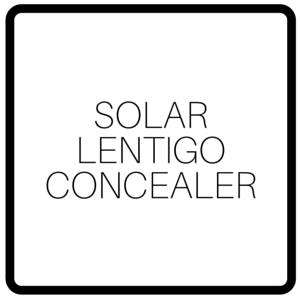 If you have Solar Lentigo and you are looking to cover and conceal the patches, Veil Cover Cream is a fantastic Solar Lentigo Concealer. The high coverage concealer has a creamy texture making it very easy to blend into the skin for an effortless natural looking finish. 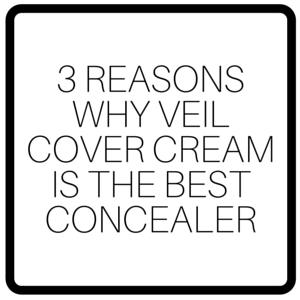 Unlike a lot of concealers on the market Veil Cover Cream is available in a wide range of shades. There are over 40 shades available to match all different skin tones. From time to time we all get blemishes. Some people get a lot of blemishes frequently whilst others only get the odd spot once in a blue moon. Blemishes occur in all genders, races and ages. So what causes these pimples? Well experts say that they occur when the oil glands and pores in the skin become clogged, blocked or infected. This then leads to inflamed swollen red pus filled spots. But why do the oil glands and pores become blocked in the first place? Well there are a number of causes. Firstly blemishes can occur simply due to dead skin cells blocking the pores. To prevent this, exfoliating the skin can help as this removes the dead skin cells which in turn also gives the skin a brighter, more awake and healthier looking appearance. Always be sure to use a scrub that is suitable for your skin and don’t be tempted to over scrub, this can cause damage to the skin. Another factor that can cause the development of blemishes is if your skin is producing excess oil. This excess oil can then cause blockages. To treat oily skin a good skincare routine is essential and exfoliating can also help. Again, make sure to use a suitable scrub for your skin type and avoid over exfoliating, this can actually cause the skin to produce even more oil. Hormones can also cause spots, pimples, papules, pustules and blemishes to occur as can lifestyle and environmental factors such as using comedogenic products which are known to block the pores, leaving the skin unwashed and not drinking enough water. If you are someone who suffers from spots and blemishes and you’d like more advice or you are concerned about the condition of your skin, contact your GP or dermatologist. Having spots and blemishes can be difficult as many people can feel down and self conscious about their appearance. Many concealers on the market struggle to provide the skin with great coverage and simply aren’t pigmented enough to cover up spots and blemishes. This can be very disheartening for many who often feel that no product can help. The good news is that Veil Cover Cream can help. Veil Cover Cream is a Highly Pigmented Blemish Concealer that can hide spots thanks to it’s highly pigmented formula. Only a small amount of product is needed for spot cover ups and because the full coverage concealer is available in over 40 different shades, there are colours to perfectly match all skin tones. If you are looking to use Veil Cover Cream to conceal your blemishes but you aren’t sure which shade you require, we have Concealer Sample Kits available to purchase which are designed so that you can match your skin to a shade in the comfort of your own home. Dark Circles are very common. Many men and women have dark circles at some point in their lives and despite what many people think, dark circles aren’t just caused by tiredness and lack of sleep. Sometimes dark circles are simply inherited. Dark circles can also be causes by sun damage, iron deficiency, allergies, stress, lifestyle choices and various other things, even oversleeping. Dark circles can occur in any gender, race or age but those with pale or thin skin are most likely to experience dark circles as they appear when the blood vessels in the under eye area become visible. Dark circles are pretty harmless and it is very rare that the under eye discolouration condition will require any form of medical attention but those with Periorbital dark circles may feel self conscious due to their appearance. Because of this many people with dark circles like to use makeup products to cover their appearance. 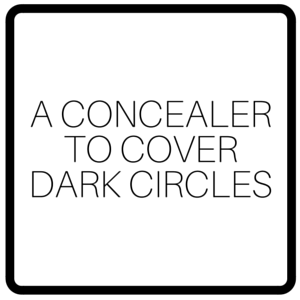 Often high street or drug store concealers, foundations and makeup products simply do not cover up dark circles effectively. If you are after something that will provide the under eye area with great coverage, Veil Cover Cream is an excellent high coverage dark circle concealer. In comparison to products that are available to purchase on the high street, Veil Cover Cream full coverage concealer contains more pigment meaning that it not only has better pigmentation, but you also only need to use a very small amount to get impressive results. Veil Cover Cream works best when applied in light layers for a natural looking flawless finish. Veil also has a lovely creamy texture meaning that the double wear concealer can easily be blended into the skin. For best results we recommend setting the concealed area with a dusting of finely milled finishing powder, this eliminates shine, gives a natural matte finish and helps to keep the highly pigmented concealer in tip top condition for as long as possible.